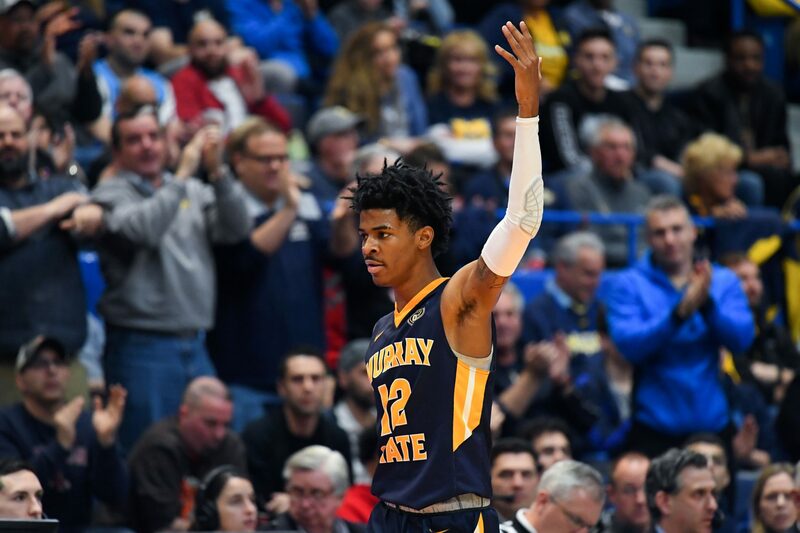 Murray State University point guard Ja Morant shined in his first game in the 2019 NCAA Basketball Tournament on Thursday and solidified himself as a top prospect in the upcoming NBA draft. According to report, the Cleveland Cavaliers already know all about Morant and have been scouting him for quite some time. #Cavs have extensively scouted Ja Morant, in case anyone is wondering. While Cavs fans everywhere are hoping their team wins the draft lottery and picks Duke University phenom Zion Williamson, Morant has proven that he could be quite the consolation prize at the second or third pick. In Thursday’s game, Morant recorded 17 points, 16 assists, and 11 rebounds. While some might worry that Morant and current Cavs point guard Collin Sexton might not be able to play well together, there should not be too much concern. While Sexton has proven to be a premier shooter from all over the floor, he has struggled as a facilitator. On the other hand, Morant is known for his incredible vision as a passer and floor general. Together, they could form one of the most offensively potent young backcourts in the NBA. Whether or not Morant ends up in the Wine and Gold remains to be seen. For now, fans can enjoy watching him lead his Racers through the bracket.